Keith writes, "How do I make DVD to play on my home DVD player?" To make a DVD that plays on your home DVD player, you need DVD authoring software to convert the video to the file format for the DVD, as well as add menus and chapters (if you want those features). There are a number of DVD authoring software applications available. My personal favorite for making DVDs is Roxio MyDVD, which is available as both a standalone application as well as part of the Roxio Creator authoring suite. Here's how to make a DVD using Sonic MyDVD. After opening MyDVD, start by clicking the Add New Movie button. Locate the movie or movie files you want to add and click Add. If the movie is still on your digital video camera you can capture it automatically using the Capture/Import option instead. To add chapter points to your movie, for quick access to your favorite sections, click the Edit Chapters button on the Edit list. Scroll the video to the point where you want to add a chapter and click Add chapter here. Three automatic chapter options are included. One looks for scene changes in the video and adds a chapter for each scene change. A second option looks for a new video panel in the video file. 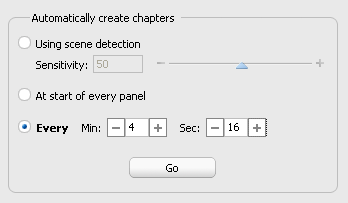 The other option is to insert a chapter for every 'X' minutes of video, where you choose whether X is 5 minutes, 10 minutes, 2:29 minutes or some other arbitrary number. 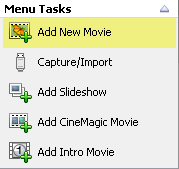 Unless you tell it not to, MyDVD also automatically creates submenus for the chapters in your movie. 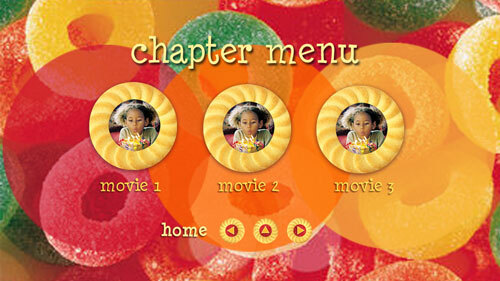 In addition to the core details of adding your movie and creating chapters, there are a number of ways you can further customize your DVD menus. You can import your own photos or use stock images to create custom menu backgrounds like the one pictured below.